Any good practitioner of yoga will know that the most important part of yoga is the breath. If you need to continually check a video or a teacher in a led class you will be distracted from your breath and distracted from the flow of your practice. Personalised yoga tuition allows you to focus on you and the techniques in which you are engaged. What I do is observe and instruct, so that you can fine-tune your postures, without any distraction. This is why I call it personalised yoga tuition. Try a class to experience the difference. If you’re ready – take your wellbeing, and yoga experience to a higher level. Take the step, you won’t be disappointed. Personalised yoga tuition is the traditional way to study yoga. It is for the sincere and clever minded, who are interested in moving deeper into their studies of higher consciousness and self-mastery. 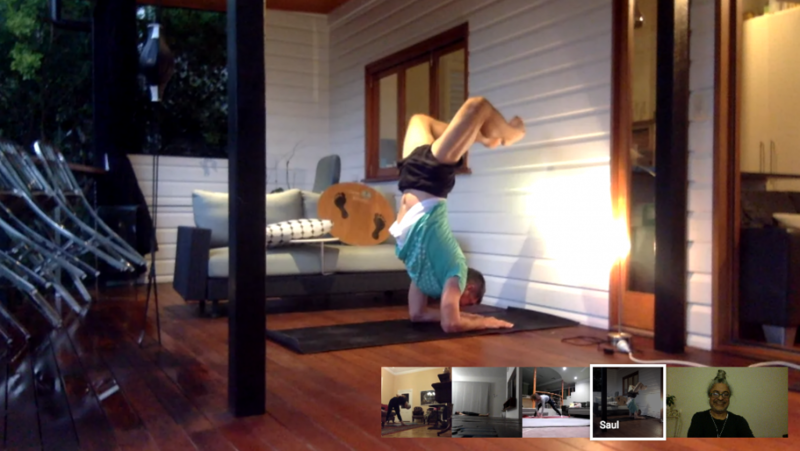 How does yoga online work? Students use their laptop, iPad, tablet or phone to join the class. So all you need is a space to practice. You may have the perfect spot already, it may be as simple as moving your coffee table aside and joining the video call. Roll out a mat about 3 meters away from your computer/device and you are ready to go. 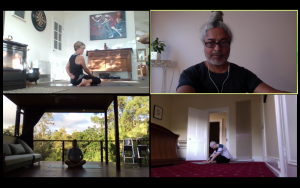 You will learn and practice yoga in your home or workplace with Yatren – who brings 20 years’ experience teaching yoga, with 4 of those years exclusively online – to class, each day. I’ll tailor a series of yoga postures that will be appropriate for your energy levels, your health issues and your goals. The sequences are always individually tailored for you and the capabilities of your body. Whether you are just starting out, or have a vast amount of experience, I will ensure that you have the highest standard of instruction to fine tune your practice, so that you can progress with ease and confidence. Development of your practice comes with being proactively present. That’s why we start every class with conscious breathing. This proactive form of yoga is an experience you can only get from personalised yoga tuition. Will I practice meditation in class? You will study and practice meditation techniques in the last 10-15 minutes of every class. When you practice yoga and meditation techniques regularly you will live fully in the present, increase mindfulness, self-awareness and develop your personal effectiveness.